In the next few weeks, we can expect various OEMs to release their Snapdragon-855 fueled, high-end devices. 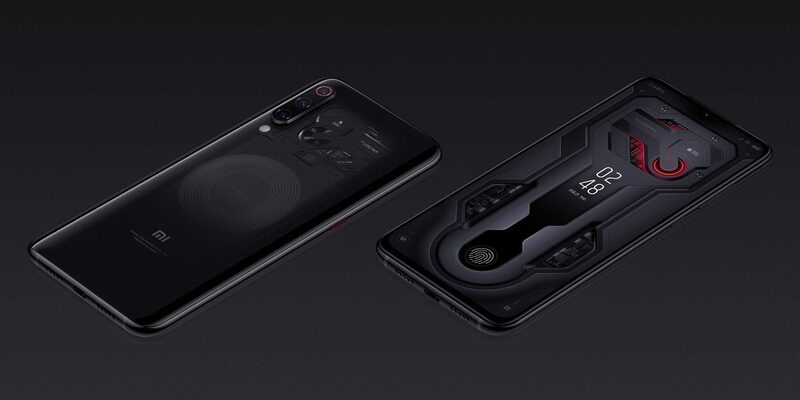 However, devices powered by Qualcomm’s new chipset are expected to be pretty expensive but for those looking for an affordable alternative, Xiaomi has just launched the Mi 9. The phone offers everything you would want in a flagship this year apart from a hefty price tag. The Xiaomi Mi 9 sports a 6.39-inches Super AMOLED panel that is protected by Gorilla Glass 6 and gives off an FHD+ resolution. It boasts an impressive 90.7 percent screen-to-body ratio and it has an in-display fingerprint scanner. The 20MP selfie camera is housed in a waterdrop notch, which is one reason why you’re getting so much screen real estate. As mentioned before, the phone is fueled by the Snapdragon 855 SoC and is accompanied by up to 12GB of RAM and up to 256GB of internal memory, but the latter will be found in the transparent version of the Mi 9. This is also Xiaomi’s first phone with a triple camera setup and features a 48MP Sony IMX586 sensor with a Quad Bayer filter, a 16MP wide-angle lens, and a 12MP telephoto sensor. The camera setup is protected by a sapphire glass lens cover. The Xiaomi Mi 9 also supports Charge Turbo, a proprietary technology that would vastly improve fast charging. The phone also supports wireless charging up to 20W, meaning that lots of users will most likely not be plugging this flagship. Disappointingly, the phone packs in a rather small 3300mAh battery and considering its display size, we were expecting a bigger cell. Another disappointing aspect of the phone is it is not water resistant. 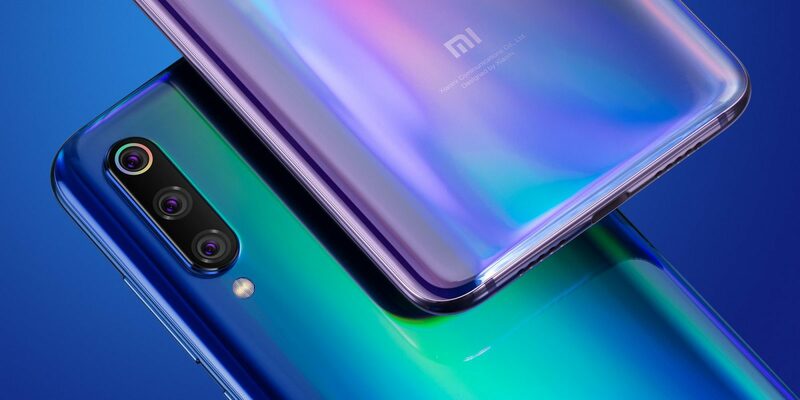 Luckily, the Xiaomi Mi 9 features a gradient pattern that changes colors according to the surrounding lighting. The available color options include black, blue, and violet, and there is also a transparent variant that is only available in the 12GB RAM/256GB memory configuration. The phone will be released in China on February 26 and pre-orders are now open. It remains to be seen when the phone would be available internationally, but we believe that online retailers will have it in stock later in the year. The entry-level variant of the phone with 6GB of RAM and 128GB internal memory costs $445, the 8GB/128GB model will set you back by $490, while the maxed out 12GB RAM/256GB storage model is priced at $595. The company also boasts a stripped down, Mi 9 SE which is underpinned by the Snapdragon 712 SoC and costs just $300 using direct currency conversion. Looking at the price, the Mi 9 is certainly the cheapest Snapdragon 855-powered flagship right now, but it also means the company cut some corners such as omitting water-resistance. However, some customers won’t be bothered by these omissions, but we’d like to know your thoughts on what you think of Xiaomi’s latest offering, down in the comments.